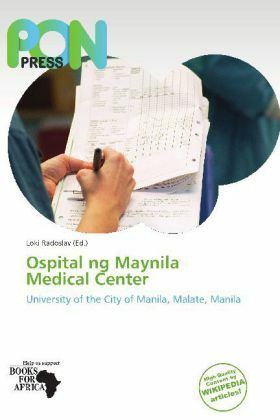 The Ospital ng Maynila Medical Center (abbreviation: OMMC) is a 300-bed non-profit tertiary, general and training hospital in Malate, Manila, Philippines. It is the laboratory hospital of health science students (students of medicine, nursing and physical therapy) enrolled at the Pamantasan ng Lungsod ng Maynila, one of the Philippines' most prestigious universities. As hospital operated and maintained through taxes paid by Manila residents, OMMC has for its primary concern the admission and treatment of patients who are bonafide residents of the city. Platz 8: Aufholen, ohne einzuholen!